Report reveals top 10 heartworm cities in the U.S.
Cincinnati, Ohio, and Stockton, Calif., have topped the list of heartworm cities in the U.S. for January. The Companion Animal Parasite Council (CAPC) has released its Top 10 Cities Heartworm Report for January 2019. CAPC monitors and indicates emerging parasitic threats to companion animals. The report is created to alert pet owners, veterinarians, and pet-related service providers about U.S. metropolitan areas experiencing the highest percent increases in positive heartworm tests. “What the new CAPC Top 10 Cities Heartworm Report demonstrates is heartworm disease—transmitted by mosquitoes—is a national threat to pets who are increasingly vulnerable to this debilitating and potentially fatal illness in most communities across the country,” said CAPC board member, Michael Yabsley, MS, PhD, FRES. “Many pet owners mistakenly think their dog or cat isn’t at risk for heartworm because they don’t live in what has been historically considered a heartworm endemic region of the country,” said CAPC board member, Cassan Pulaski, DVM, MPH. CAPC recommends monthly heartworm protection and annual testing for both heartworm antigens and microfilariae, regardless of where pets live or travel. To help pet owners and veterinarians monitor and discuss heartworm prevalence in their community, CAPC provides a monthly, county-by-county heartworm disease forecast, accessible here. 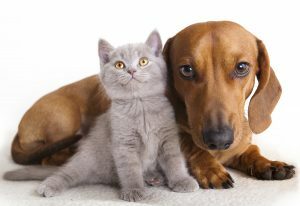 cities Disease dogs and cats Heartworm list monthly parasite Report top 10 U.S.
Whoa, the title of this article is highly misleading. These are the ten cities with the highest percentage increases in positive heartworm tests in January, not the cities that necessarily have the largest population of dogs with heartworm disease or the most dogs having positive tests in that month. That’s a critically important distinction, epidemiologically. If San Diego goes from 1 positive test to 3, that’s a 200% increase. But if, say, Houston goes from 90 to 100 positive tests, that’s an 11.1% increase. Clearly Houston would be the more problematic environment, though San Diego certainly shouldn’t ignore the problem. Let’s help people understand, not confuse or panic them. How about, “Report Reveals Cities With Most Rapid Growth in Heartworm Infections”? It likewise does not adjust for animals whose infection was acquired elsewhere. For instance Denver, Fort Collins and many other shelters have taken relocated animals from Oklahoma, Texas and many of the hurricane disaster areas–many from HW-endemic areas. Just as with human statistics where states did not adjust for infection acquired out-of-state, this becomes problematic in making assumptions. That said, I certainly don’t deny that our climate is changing and heartworm infection risk is increasing. 1.) On heartworm prevention religiously, get tested yearly, are well protected. 2.) Dogs that are not on prevention and owners will not consider it (the excuses are endless and all just that—excuses. They either have active heartworm disease or will contract it sooner or later. Probably sooner. 3.) 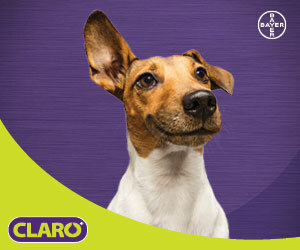 Dogs that already have the disease and the owners act totally incredulous. Some can be treated very successfully. Some…no. Very well articulated. The excuses are unending! This claim is totally bogus. No quality control or checks and balances from an organization (CAPC) who’s primary goal is to promote the products of the pharmaceutical companies that make anti-parasitic drugs. The surveys they do are voluntary with no mention whether the positive heartworms tests are from dogs from out-of-state or native dogs. No mention if there are false positive results. We know for a fact that there is an almost zero incidence of heartworms in native dogs living in Washington state (Seattle) base on scientific surveys that take into account native vs import dogs and travel history. We may see a slight spike in positive test when a rescue group brings in dogs from heartworm areas, but it is not a sudden epidemic of heartworms in Seattle as this new release implies. If these “new releases” are then propagated to the public as fact, it sends a false alarm that heartworms are on the rise. This article is truly “fake news”. I’m confused by this article since the CDC reported totally different cities and states.